Coast-to-coast action on the Road to the 2019 Kentucky Derby kicks into the next gear Saturday as we journey our way down the long and windy road to Louisville. This weekend marks the first Saturday in February, meaning it’s only three months to the 145th Run for the Roses, so if your horse ain’t getting ready now, then they probably ain’t making the Derby gate. Two top Derby prospects are expected to make their 2019 debuts, with Maximus Mischief headlining the Grade 2 Holy Bull Stakes at Gulfstream Park and Mucho Gusto kicking off his year in the Grade 3 Robert B. Lewis Stakes at Santa Anita. Both had graded stakes wins late last year and have graced many pundits’ Derby Top Ten lists since. 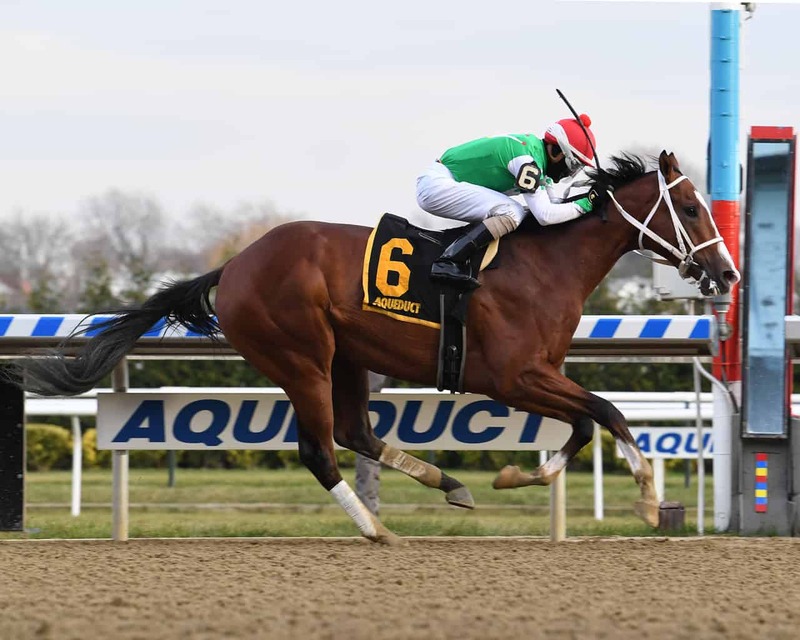 The more touted of the two has been the undefeated Maximus Mischief, who dominated each of his three lifetime wins, including a front-running triumph in the Grade 2 Remsen Stakes at Aqueduct on December 1. Trainer Butch Reid subsequently brought the son of Into Mischief down to Florida to get ready for his 2019 campaign and has put in three works over the local Gulfstream strip to prepare. With his Remsen win coming at 1 1/8 miles, Maximus Mischief will actually be cutting back for the 1 1/16-mile Holy Bull distance. It won’t be easy for Maximus Mischief to keep his undefeated streak alive, though. Top challenger Mihos comes into the Holy Bull with a recency edge and a win over the local strip, the $100,000 Mucho Macho Man Stakes on January 5. The Jimmy Jerkens trainee will stretch out to two turns for the first time and has been working steadily at Palm Meadows. Mihos’ running style is to make a big move late, so he’ll look to track down Maximus Mischief in deep stretch. For a full list of probables for this Saturday’s Holy Bull, check out the Derby Trail Tracker. If we’re talking about Mucho Macho Man the horse, then let’s next discuss his leading runner from his first sired crop, Mucho Gusto. The Rodney Dangerfield of the Bob Baffert brigade, Mucho Gusto has gotten no respect: stablemates Game Winner and Improbable have gotten all of the attention in early Derby rankings. Don’t take Mucho Gusto lightly, though. He has exuded class in his three-race career, winning the Grade 3 Bob Hope Stakes in gate-to-wire fashion, then running second, 5 lengths behind Improbable, in the Grade 1 Los Al Futurity in mid-December. Mucho Gusto’s front-end speed should be dangerous, but his main competitor, Gunmetal Gray, will be running at him late. 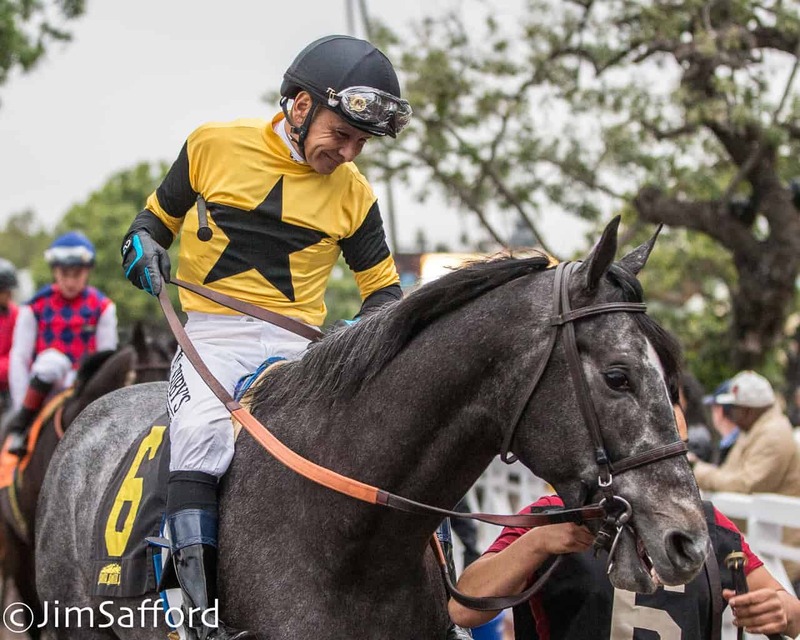 Just like the showdown discussed in the Holy Bull, Gunmetal Gray has a recency edge and a win over the local strip coming in the Grade 3 Sham Stakes at Santa Anita on January 5. Gunnmetal Gray also has on his ledger a very nice runner-up finish behind Game Winner in the Grade 1 American Pharoah Stakes, so both of the top two choices in the Lewis have shown that they’re just a step below the top of the crop during their juvenile campaigns. For a full list of probables for this Saturday’s Robert B. Lewis, check out the Derby Trail Tracker. Not to get the short stick in this weekend’s Derby prep previews, the Grade 3 Withers Stakes at Aqueduct is expected to bring together a well-balanced group of quality prospects going 1 1/8 miles. Topping that group as the most likely favorite is Moretti, from trainer (and frequent Derby prep plunderer) Todd Pletcher. It’s been duly noted that Pletcher was quiet with his dirt juveniles last year and hasn’t won any early 2019 Derby preps, but the rumbling in the distance may be the stampede that Pletcher is about to bring onto the Derby trail, starting with Moretti. 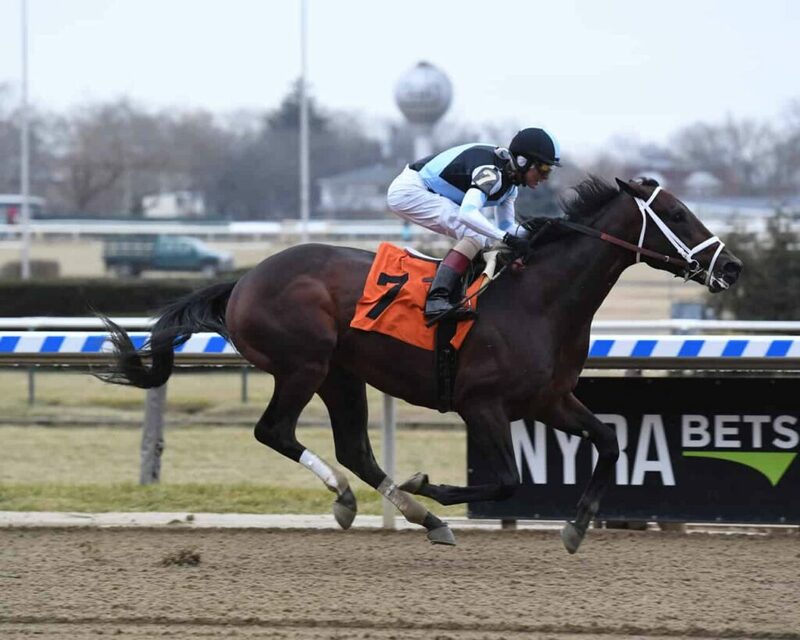 With an impressive win going this 1 1/8-mile distance to break his maiden at Aqueduct on December 20, the son of Medaglia d’Oro, who sold for $900,000 as a yearling, is ready to make his 2019 debut for the strong ownership partnership of Repole Stables and Eclipse Thoroughbreds. Pletcher has kept Moretti training at Belmont and targeting the Withers to keep him at this distance. When Pletcher has a plan like this during the Derby trail, you better pay attention, because his record speaks for itself. Just check out this article from last year detailing all of his Derby trail runners. 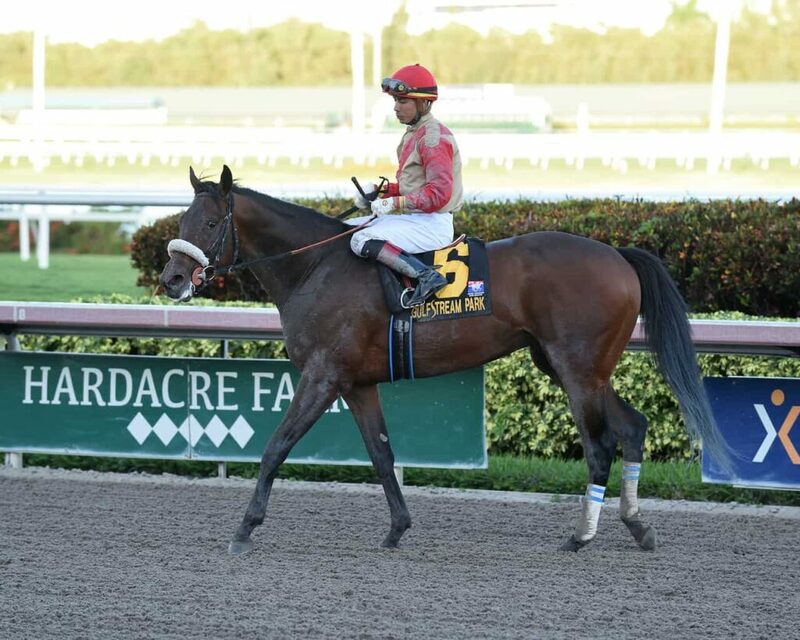 Moretti was second on debut to Bourbon War, who recently won impressively at Gulfstream against allowance company, so Moretti has back class to match up against the field on Saturday. Tax is another horse with class pointing to the Withers after he ran third behind Maximus Mischief in the Remsen. The Danny Gargan-trained gelding has also been working out at Belmont Park. For a full list of probables for this Saturday’s Withers, check out the Derby Trail Tracker. It’s an exciting time of year as the Derby picture starts to come into focus. We’ll soon be finishing up the 10-point races and start putting horses in the Derby gate when the 50-point races start in a few weeks. Check back for constant updates on the Derby Trail Tracker to see who’s going where over the next couple months and follow me on Twitter @SaratogaSlim for updates. Good luck betting the Derby preps this weekend and check back for free previews and picks for these important races!